Orthodox Gnosiology is not merely an intellectual question, but is also a phenomenological, existential, ontological, personal and mystical one. How can Orthodox theology develop its methodology without reducing itself to a simple philosophical system? The Incarnation was an empirically verifiable presentation of the Uncreated united to the Creature. 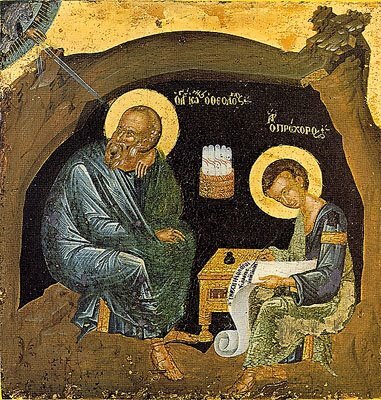 The Scriptures state that through the Incarnation the Apostles received full assurance (πλεροφορια) of the empirical and historical sort. But the Incarnation led to the confession of Peter that Jesus Christ was the son of the living God- a revelation that was not made by flesh and blood- a revelation that is of the essence of Orthodox gnosiology. It is the Incarnation that gives the beginning point for a complete Orthodox gnosiology. Orthodox gnosiology has as its goal the knowledge of God, and the knowledge of God that we seek is the experiential kind, and of the kind that brings certitude to the whole of our being. Christ stated the goal of our knowledge when he said, “I am the Way and the Truth and the Life; no one comes to the Father but by me.” . Christ is for us the Truth that we seek to know. Christ is the way by which we can know the Truth and the end of Truth is that we ‘come’ to the Father. Orthodox gnosiology began in the historical and empirical, visible, revelation of Jesus Christ to the Apostles. It is the Apostolic kerygma, delivered to the ends of the earth, the foolishness of preaching, that brings to the rest of us the possibility of experiential knowledge of the unknowable God, the Father. Orthodox gnosiology is rooted in revelation; it is also subset of Christology for it by the Son that we ‘come’ to the Father. Some say that it is the Incarnation that makes theology possible. However, it must be remembered that Scripture itself is theology in that it is the record of men’s experiences with God. It is according to Christ that we interpret the Old Testament. It is according to Christ that we interpret our lives lived in Him today. Thus, the Incarnation is also the interpretive key for a sound gnosiology. 1 John 4:2 “Hereby know ye the Spirit of God: Every spirit that confesseth that Jesus Christ is come in the flesh is of God”. Therefore, while the Incarnation was the supreme manifestation of God, it is also the interpretative key, and touchstone of validity for all past and future interior experiences ,and exterior expressions, of God. Experience of communion with God begins within and leads to the confession of the Incarnation. Experience of communion with God comes through the agency of the Holy Spirit. The inner experience of God is the fullness of assurance that Scripture states that we are called to receive. Both the inner and outer assurance of Truth co-inhere in Orthodox gnosiology. The fact of the Holy Spirit as the mediator of immediate perception roots Christian gnosiology also within the domain of Pneumatology. The Apostles received the fullness of revelation of Jesus Christ and passed this fullness on to us through Holy Tradition, the supreme expression of which is Holy Scripture. There is a reciprocal relationship between the exterior experience of Scripture and the interior experience of its existential reality. Scripture in its declaration, allegories, metaphors, its interpretation through the Fathers, the Church, the icons, Councils, and so forth, shape our mind, to the end that we may ‘come to the Father’ Enter into union with God the Father; experience Communion. The Scriptures are phenomenological descriptions of that which was perceived by the one to whom the revelation was given. The capacity of language to shape our minds is also a notion that is almost lost in modern thought; modern thought tends to think of minds shaping words. Orthodoxy lies closer to the realism of ancient philosophy in this respect that the symbolic representation of words are ‘linked’ to universals of some sort; universals that orient us towards ultimate reality, get us facing in the right direction so we can see the unseen. The Scriptures then, as the self- expression of the OT and New Testament Church, are pivotal in Orthodox gnosiology. Scripture is the definitive theology of the Church, in the true Orthodox sense of the meaning of theology. It is the self-expression of the Church that has come out of its prayer and experience of God. It is the record of its noumenosity. Orthodox thinking, in its conflict with Protestant nominalism, has tended to emphasize polemically the existential, personal, and noetic aspects of our knowledge of God in the interest of defending it teleologically. The dogma of the Incarnation aids in presenting our gnosiology related to the whole of the analogiai fidei - to the internal unity balance and fullness of the Entire content of the Tradition to which we have been made heirs. The Incarnation spares us of the temptation to a Nestorian separation of knowledge so that the Scripture is fully human but totally distinct from the Divine, or else we so absorb Scripture into the Divine that we become gnosiological Monophysites. Many Protestants take comfort in the Fathers because they were steeped in Scripture, and when one examines the Fathers, their writings are steeped in Scripture. This is as it ought to be. Full assurance came historically and empirically to the Apostles through Incarnation and their testimony was recorded in Scripture. On the other hand, the deeper intent of the historic and empirical witness to the Truth is the experiential knowledge that comes to us subjectively, noetically, in metaphysical ecstasy. It is the Word that comes through Scripture that conditions us for life and for the progressive acquisition of the Spirit. The Spirit, on the other hand, brings the intuitive, internal , existential , subjective and noetic experience of God , Who gives us ears to ‘hear’ the Word. Both Word and Spirit shape our minds for the knowledge of the Father. Orthodox Gnosiology is therefore Trinitarian. “But the hour cometh, and now is, when the true worshippers shall worship the Father in spirit and in truth: for the Father seeketh such to worship him” . The Father seeks worshippers, the Son reveals the Father, and the Spirit manifests the Son Who is the Father’s Express Image. The Church gives testimony to this through the feast day of Theophany, the baptism of Jesus Christ, when the worship of the Holy Trinity was made manifest, and Transfiguration, when the Apostles according to their capacity, received the immediate perception of the Father and the Son and the Holy Spirit. Gnosiology and the Church- the Apostles who received the worship of the Holy Trinity were commissioned to build the Church of Christ. Some have said that the Church, as the Body of Christ, is the extension of the Incarnation. It was to the OT patriarchs that the manifestation of the Uncreated began, and it was to Israel in particular, and to his seed and through his seed, which the manifestation continued until the fullness of time when God spoke to us through his Son. In Orthodox gnosiology, it is the Church as the spiritual continuation and fulfillment of Israel that is the certain locus of God’s self- manifestation, and of the prophets that speak of its experience. It is within the Church, likewise that God’s self-disclosure continues. How could it be otherwise, given that St. Paul calls the Church, the'ground and pillar of the truth', in I Timothy 3:15? The Church is like the image of the Wardrobe in the C.S. Lewis fantasy novels, the Narnia Series. The Wardrobe to all appearances was just that a wooden closet that held various items of outerwear, but to those who were inwardly prepared, entry into the Wardrobe would transport the person to another world. 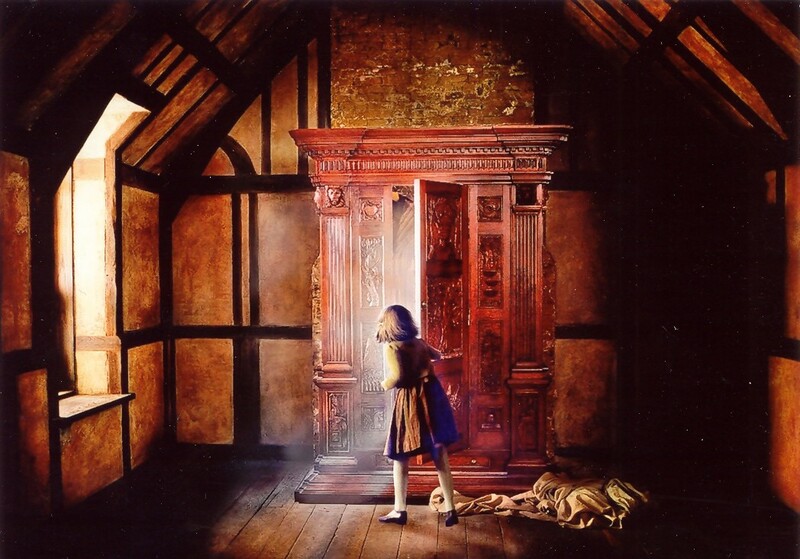 The Wardrobe was not common wood, but was made of Wood that had come from the other worlds and served as a portal into them. For us the Church is like the Wardrobe- the Church, to all appearances is folks, and hierarchy, and doctrines, and ritual, and history and habits. But to those who are prepared , entry is gained to a world much more vast. The inner is much greater than the outer. Orthodox gnosiology is therefore related to ecclesiology. 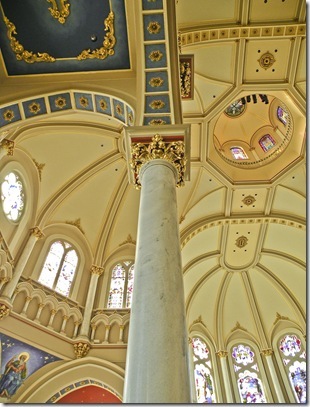 Gnosiology and Theosis- The Church calls all to the possibility of knowing God. The nous, according to Orthodox teaching, is the organ of noetic knowing, is called the eye of the heart ,was darkened at the Fall, and was scattered into the body, into enslavement with the imaginations and the passions. Fundamental to the recovery of our ability to know ontologically, is the healing of the nous, its deliverance from the darkness of the passions, its restoration to the heart, so that we be restored to likeness of God- that we may know Him- attain Theosis. The healing of the nous that both comes through and enables Theosis, must be existentially grasped. A decision from within one must be made to actualize the possibility of the knowledge of God. A Kierkegaardian leap must be made from the knowledge about God, to the existentially realized personalist perception of Him. Theosis begins with the stage of purification that is accomplished through obedience to the commands of Christ. We are prepared for the beatific knowledge through the changes wrought in us through, or obedience to, the Gospel- the qualities elicited in us and described by the Lord in the Beatitudes of the Gospels enable us to ‘perceive’ God; to’ know’ Him; to ‘inherit’ the Kingdom and to ‘see’ Him. Theosis continues through illumination during which the eye of our heart begins to perceive the inner essences of created things- e.g., God’s action in history in His Providence, the disclosure of the Divine Glory that occurs in Nature and Scripture, the fact of the personhood of men made in the Image of God, and proceeds to glorification. Theosis is the process of Orthodox gnosiology and dogmatizes that God is unknowable in His essence, but is nevertheless, knowable. The resolution of the apparent antinomy has come about by the Patristic distinction between the Essence of God which his transcendent unknowability, and His Energies, which is the immanent knowability of God outside of His Essence. Nevertheless, since both the Energies and Essence are uncreated, Orthodox gnosiology insists that the experience that we have of the Energies is ineffable and transrational. St. Gregory of Nazianzus said, “…it is impossible to express God and yet more impossible to conceive Him….” Therefore, Orthodox gnosiology insists that revelation, formally defined, is not in words and concepts and propositions; but that they are the partial and incomplete attempts to point to the experience to which we are all called. Gnosiology and Prayer- The energetic act of God that brings us the knowledge of Him, involves apophasis in prayer- apophasis is the process of negating any thought that the words and concepts about God are any more than preparatory to the revelation, and consists of the description of God only in terms of what He is not, and finally leaving all concepts including apophatic negations behind, to the end of immediate perception, not mediated by any created entity, not a philosophical contemplation, not talk about God, but Communion with God.- a communion that occurs hesychastically, in silence. Through Theosis, impelled by prayer, guided by cataphatic and apophatic theology- one is introduced into the noetic knowledge of God,. Thus there is an ontological unfolding of knowledge to the nous according to its capacity and the increase of its capacity is linked to the acquisition of the Spirit through prayer. Orthodox gnosiology therefore depends upon the progressive ontological change that comes about as we, as in a mirror, behold the glory of the Lord, are transformed by that vision, from glory to glory. Orthodox Gnosiology and Philosophy- Philosophers have debated the subject of knowledge from the beginning. Christians have observed the philosophical struggle as well. St. Paul said that the Jews demand a sign and the Greeks knowledge but we preach Christ crucified. In another place the apostle Paul warns against the corruptions of philosophy according to the elements of the world, according to the principality and power of the air and not according to Christ. There is a pursuit of knowledge that goes to a dead end, the Apostle says it is described as philosophy, and it involves the use of the rational faculty ignorant of the revelation that is in Jesus Christ. 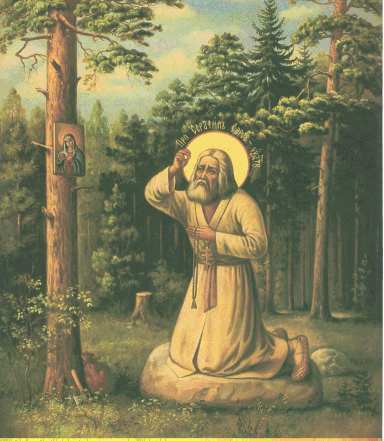 St. Pavel in Pillar and Ground of the Truth actually pits rationality against reason in this way. It is the pursuit of ontological knowledge apart from Revelation. Christ said “you shall know the truth and the truth shall set you free.” The St. John saith, that salvation is the knowledge of God. For modern men and some of the theologies they hold, truth tends to be propositions, if it is anything at all. This has to do with the ascendancy of nominalism in the West with its denial of universals or essences on the one hand and the skepticism relatively speaking of Thomist Catholicism that denies direct experience of God and in its places puts created grace. Orthodoxy insists that the Divine Essence of God is unknowable, but is knowable according to His Energies, sustaining Creation and interacting personally with his rational creatures. We find ourselves immediately distanced from Thomism. The distinction of the energies from the essence of God collides with the notion of actus purus. The infinite distance between the Created and the uncreated overthrows the analogia entis and the possibility of knowing God through his energies saves us from the prison of knowing him indirectly through created grace or static created vision. The philosophic possibility of understanding the Ultimate does not exist within Orthodox gnosiology. 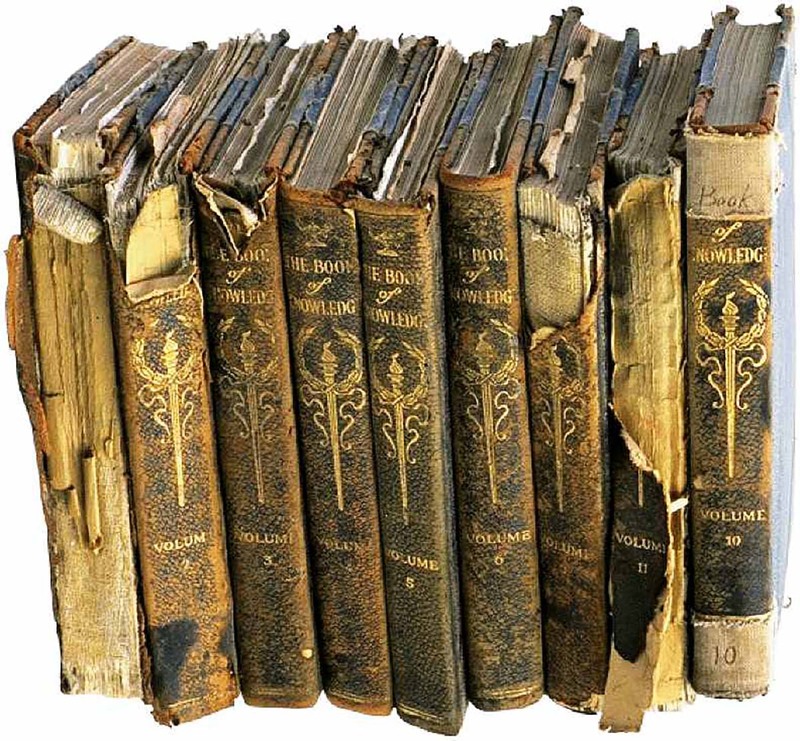 Skepticism concerning knowledge has also been on the ascendent in the west since the time of Ockham, continued through Descartes, Hume, Hobbs . Left to his own devices mankind cannot be certain that it knows anything nor that it is constructed to perceive reality. And in its end stages post-modern man is following the logical conclusions of his nominalism, and using language quite persuasively to say that words mean ultimately nothing. For Christians of the Orthodox stripe however, the fact that God made us to know Him gives us confidence that we may have both knowledge of God and the certainty of it for it is the purpose for our creation. The fact of revelation delivers us from the nominalist imprisonment within our rational faculty, from the skepticism of our being incapable of knowing reality itself, ontologically, and from the solipsistic denial of language and a medium of shared participation in knowledge. In the final analysis the only way to avoid slipping into a philosophy of gnosiology rather than ontological, experiential gnosiology is to pursue knowledge after the manner of counsel of Evagrius- “ to pray is to be a theologian, and to be a theologian is to pray.” One may shun philosophical systems of the secular variety; one may eschew the Thomist realism of the Catholics and their structural commitment to not knowing God, yet if one does not pray, then one’s Orthodox gnosiology becomes a philosophy and not a way of life, within the Truth.